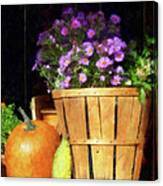 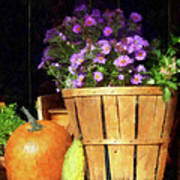 There are no comments for Basket Of Asters With Pumpkin And Gourd. Click here to post the first comment. 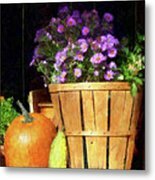 The crisp air and beautiful colors of the fall trees make autumn the favorite season of many people. 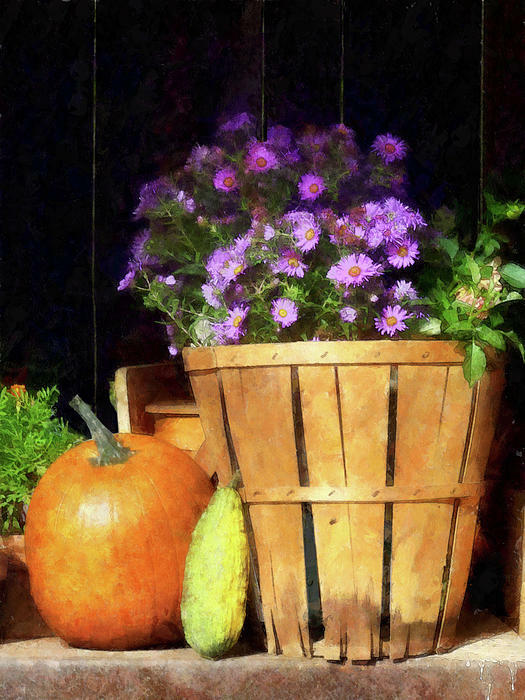 You can almost smell the wood smoke and hear the crackle of leaves under your feet when you look at this still life of a basket of asters sitting next to a pumpkin and a gourd. Would make a lovely gift for anyone who enjoys autumn.